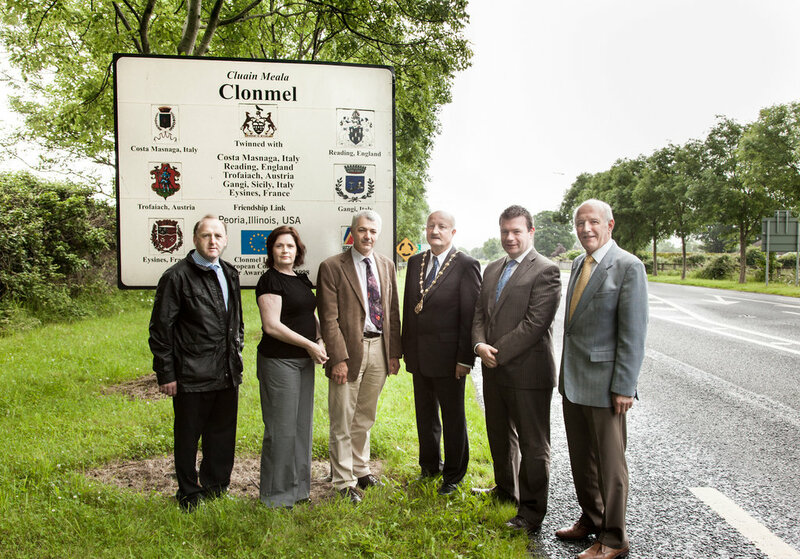 Pictured at the announcement of funding of €456,000 for cycle track and footpath in Clonmel by Minister Alan Kelly TD are Jonathon Cooney Acting Borough Engineer Clonmel Borough Council, Sonja Reidy Senior Executive Planner South Tipperary County Council, Peter Britton Acting Senior Engineer South Tipperary County Council, Cllr. Billy Shoer Mayor of Clonmel, Alan Kelly TD, Minister for Public Transport and Commuter Affairs and Billy McEvoy County Manager South Tipperary County Council. The €456,000 funding will go towards a two kilometre cycle track and footpath along the N24 Clonmel Inner Relief Road to link the business area of Ballingarrane Science and Technology Park/poppy Fields Retail Park to the residential area of Haywood Road/Cashel Road.